Today, more than ever, many women lead active lives. They are driven, passionate, goal-oriented, and influencers in their own right. They are versatile and have mastered the art of multi-tasking. They also excel in their chosen career paths and still find quality time for themselves. They can do anything if they put their minds and hearts to it. Simply put – women are pretty strong. 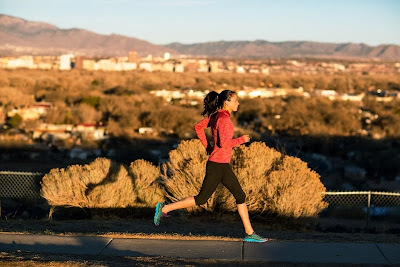 Borne out of the belief that women are naturally born with an innate strength, leading outdoor athletic footwear brand Merrell reaches out to these women through its Pretty Strong campaign. Alongside the launch is the introduction of a performance shoe line specially-designed for women. Merrell’s women’s collection aims to keep pace with these active strong women with a line that complements their diverse lifestyles by providing tailor-made features, as well as durability and quality that they well deserve. Merrell’s women’s new performance collection feature narrower and slimmer profiles. These shoes are made of durable, comfortable materials, and come in different color combinations. The collection is also versatile – great for everyday use, working out in the gym, and hitting the challenging outdoors training, running, and trekking. For women who are into serious running, Pace Glove 2 is highly recommended with its excellent ground traction and secure fit. For those who are into running and training, Bare Access Arc 2 is ideal with its M-Bound cushioning that assures comfort in every movement. On the other hand, Mix Master Move Glide is a flexible shoe built for multi-activity use. It is light enough to be worn during road and track runs. Meanwhile, for women who are looking for stable shoes opt for Road Glove Dash 2. It gives you the stability you need without the added weight and bulk. Merrell’s Pretty Strong campaign reaffirms the brand’s commitment of continually inspiring people – especially pretty strong women – to get outside and see the outdoors in a new light. Merrell is available at Merrell stores in Trinoma, SM North Edsa Annex, Market! Market! , Festival Mall Alabang, Marquee Mall Pampanga, Harbor Point Subic, SM City Dasmariñas, Ayala Center Cebu, Gaisano Mall Davao, Abreeza Mall Davao, SM Lanang Premier and SM Ecoland Davao. Merrell is also available in leading department stores and sports specialty stores nationwide. For more information, visit Merrell’s Facebook page at www.facebook.com/MerrellPhilippines or follow them on Twitter: @MerrellPH.